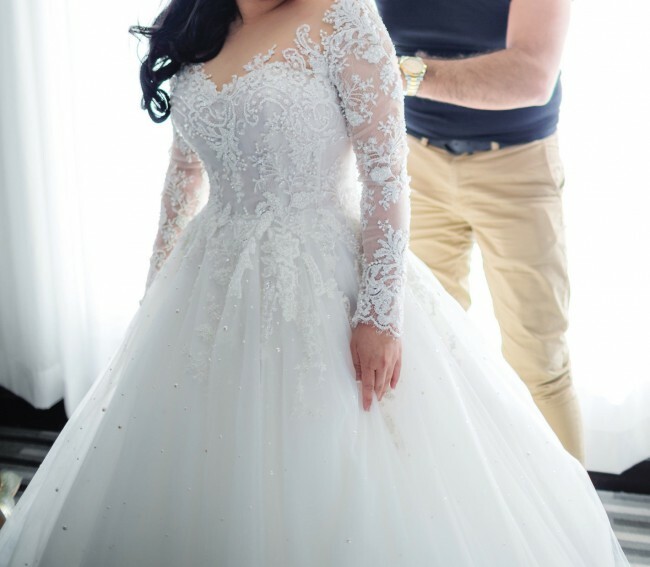 This is my dreamy and beautiful Steven Khalil wedding dress available for sale. Unfortunately I lost my veil. This gown is a custom made couture so it is very special and different to others. It features a lace , beads, and layers of soft white tulle for the skirt. This dress has been professionally dry cleaned by a company that Steven suggested.